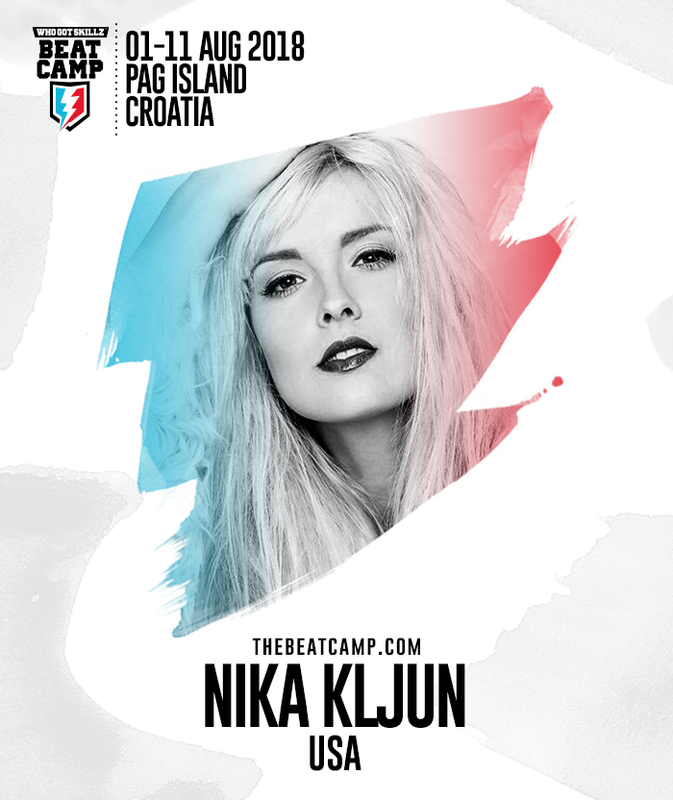 We are happy to welcome Nika Kljun back at the Beat Camp! This passionate, talented dancer and choreographer, originally comes from Slovenia. Dance has been a part of her everyday life as long as she can remember. EARLY AGE: Her parents use to be ballroom dancers. Now they are having their famous dance school called Bolero. Nika was always hopping around mum and dad while they were teaching. At age 4 she started to take classes and train very hard every day. She trained Jazz, Ballet, Hip Hop, Tap dance, Disco dance, Electric Boogie and Latin-American & Ballroom dancing. She became more that 30 time a national champion and European champion. At age 17 she became a world champion in hip hop solo. At young age 15, she already joined a world dance companyDance 2xs UK and performed with them in Europe and America. She performed in musical Dance me, Eve showcase, NRJ music awards, the Dome festival, American north dance festival, EU health ministry congress and at many TV shows and commercials. At age 20 she was an official dancer of big french artist Matt Pokora, you can see her in his video with Timbaland – Dangerous. She has been chosen for a NIKE WOMAN – spring athlete, what means a lot to her. She is very blessed she is a part of Monsters of hip hop family in Los Angeles, in which she is performing every single year, since 2006. She had an opportunity to work with huge names in dance industry like Thabita & Napoleon, Brian Friedman, Rhapsody, Gil Duldulao, Dave Scott, Teresa Espinosa, Kevin Maher, Lindsay B., Jillian Meyers and many more. She loves to share her dance knowledge with other dancers. Dance is truly her life, she can’t imagine living without it. She gives her freedom, passion and dance is where she always find here essence.